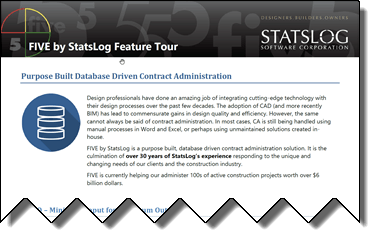 StatsLog – Construction contract admin software for architects, engineers, and other design professionals and their project teams. Take control of your construction projects with powerful and flexible contract administration software for design professionals and project teams. Starting at only $9 per active project/month! One of Insight Success' 10 MOST INNOVATIVE Construction Technology Solution Providers for 2018! One of CIO Review's 20 MOST PROMISING Construction Technology Solution Providers for 2017! StatsLog is a proudly Canadian company that has been in the business of providing software, training, and consulting solutions to architects, engineers, and other design professionals and their support staff for over 30 years. Since day one, our goal has been to make the world's best construction contract administration software, with a singular focus on the unique perspective and needs of design professionals in Canada. 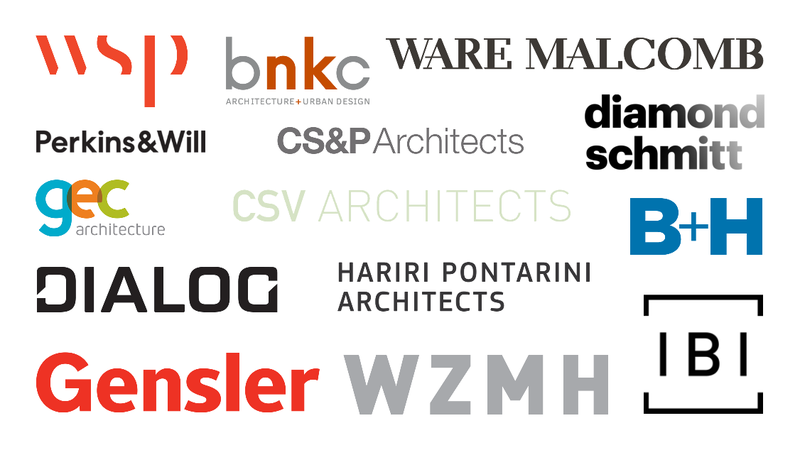 Our customers are a who's-who of Canadian architectural and engineering firms. We measure our relationships with our clients in years — even decades. FIVE is the latest version of our construction contract administration software. Built on our unrivaled experience in the business and moulded by feedback from our cutomers, we believe that FIVE is the most powerful and flexible CCA software available today. Feast your eyes on the fantastic features of FIVE. Access your CCA data from anywhere on any web–enabled device such as a tablet or smart phone. Data is shared from a central database system. The latest information is always at everyone's fingertips and up-to-the-second accurate. No additional third-party database server licenses are required. Completely customize the appearance of all of your forms and reports using the built–in layout tools. No other CCA–specific software comes close! We're here to help! Call toll-free, send us an e-mail, or use the built–in screen sharing and issue reporting tools to get the assistance you need from a real, live, honest–to–goodness human being. End to end encryption keeps your data secure and private. Fine–grained permission controls let you control access to projects and software features on a per-user basis. Project data is automatically synchronized across all of your devices. We've developed and extended hundreds of automatically calculated formulas over more than 30 years in the business. Our formulas are proven every day in real world use in billions of dollars worth of active construction projects. Export any document to PDF format without third-party software. Attach any PDF file you receive to any contract item and it will be automatically merged into the main document for distribution. Dynamically generated analytics provide insights into your projects in seconds that would otherwise be difficult or impossible to achieve. Keep your documents permanently in the digital domain by signing and stamping them electronically with a click. What's miMO? Minimum Input for Maximum Output — it's a philosophy that informs all kinds of design decisions around FIVE. Reusable templates, single–point entry, dynamically generated summaries and charts, optimized workflows, and bulk actions mean less typing and clicking — saving you time and effort. Send documents by email with just a couple of clicks — cover letters, main documents, and supporting attachments will be automatically combined into a single PDF attachment. The automatically populated project contact list makes it quick and easy to select recipients. Smart distribution lists ensure you don't have to manually type recipient email addresses every time you want to send a message. This eliminates accidental distribution to the wrong contacts. There's even more to FIVE than we've shown here — Try it today and see for yourself! Template design and layout services for a flat rate. Bulk discounts available - or design your own for free using the built-in layout tools in FIVE! 🗨️ Contact us for more information! StatsLog is one of CIO Review's 20 MOST PROMISING Construction Technology Solution Providers for 2017! © 2017 StatsLog Software Corporation. All Rights Reserved.